Caitlyn Jenner's long anticipated documentary series I Am Cait premieres on July 26, and already, it's clear the revolutionary show is going to be key in educating the general public about issues that face the transgender community, as well as give viewers insight into Jenner's personal struggle with gender identity. Particularly, the series will highlight Jenner's relationship with her family as she comes out as transgender to them and reveals her true self. But, before the series airs, many fans might be wondering more about her family — like, who are Caitlyn Jenner's sisters Pam and Lisa, exactly, and what is their relationship? The answer, it seems, is slightly complicated. Pam Mettler is Caitlyn's older sister, and according to an interview she did with Diane Sawyer, she has known about Caitlyn's struggle with gender identity for quite some time. In the same Sawyer special that featured Caitlyn coming out, Mettler spoke to Sawyer about her sibling's journey. She admitted that, though she tried to be supportive, she was also "didn't understand" when Caitlyn first confided in her — but, eventually, she "gathered myself together and said, ‘OK. We can handle this.'" Caitlyn's admission to her sister was nearly 30 years ago, as the interview notes. The two are now incredibly close, and Mettler has made public statements expressing full support of Caitlyn's transition. Perhaps that's why her response to seeing Caitlyn for the first time on I Am Cait comes across as the most well-adjusted and compassionate of her family members'. "I thought it was something maybe counseling would help [Caitlyn] with," Pam stated during I Am Cait's the premiere. "Then about two years ago, [Caitlyn] started talking to me about 'living an authentic life.'" She admitted that though she initially discouraged Caitlyn from going public, she can't deny how much more relaxed her sister seems in her daily life and now has no doubts that it was the right decision. Lisa, on the other hand, seems more estranged. Sixteen years Caitlyn's junior, Lisa has not been heard from much in the media frenzy surrounding Jenner's transition. If the statements she made in her interview with Celebuzz in 2013 about Caitlyn's divorce from Kris are any indication, Lisa's absence is not an accident. “We’ve tried from time-to-time [to stay in touch]. But I like the quiet life,” she said in the interview. 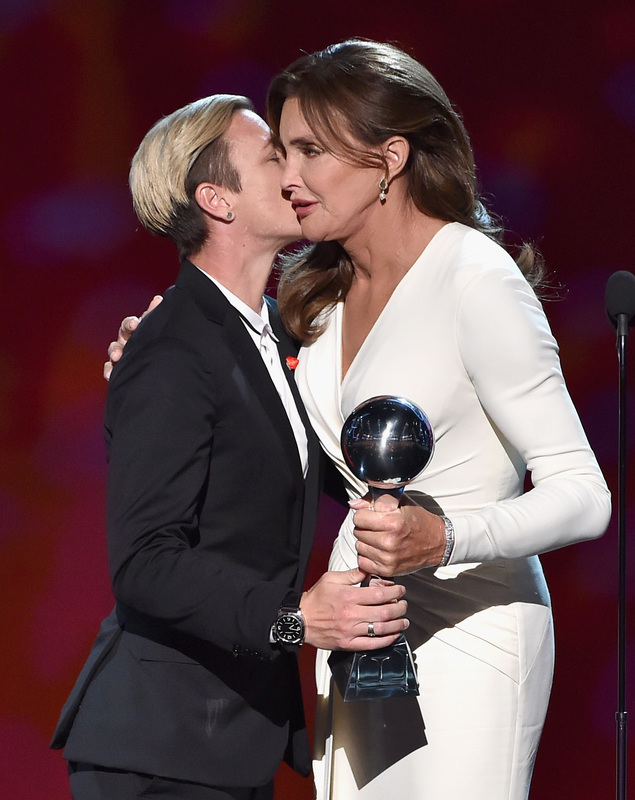 “[Caitlyn] was off in college when I was in diapers. There’s about a 16-year difference between the two of us. [She] was out of school and off to college when I was two years old." She described life in LA as "crazy and surreal," and even admitted that she really doesn't like Keeping Up With The Kardashians. Lisa doesn't talk much on I Am Cait , and most of the focus is placed on the reactions of Pam, Jenner's mother Esther (and, later, Jenner's daughter Kylie). While Lisa may not appear to be as close to Caitlyn as Pam, her presence on the show and willingness to be a part of her sister's major life milestone is an expression of encouragement in itself. Like her mother, she struggles with the correct pronoun usage, but ultimately supports Caitlyn's new life. The Jenner family dynamic is definitely a complicated one, but I Am Cait makes it clear that Caitlyn is surrounded by friends and relatives who love and care for her. Watch a promo for the show below, and check out the premiere on E! on July 26.